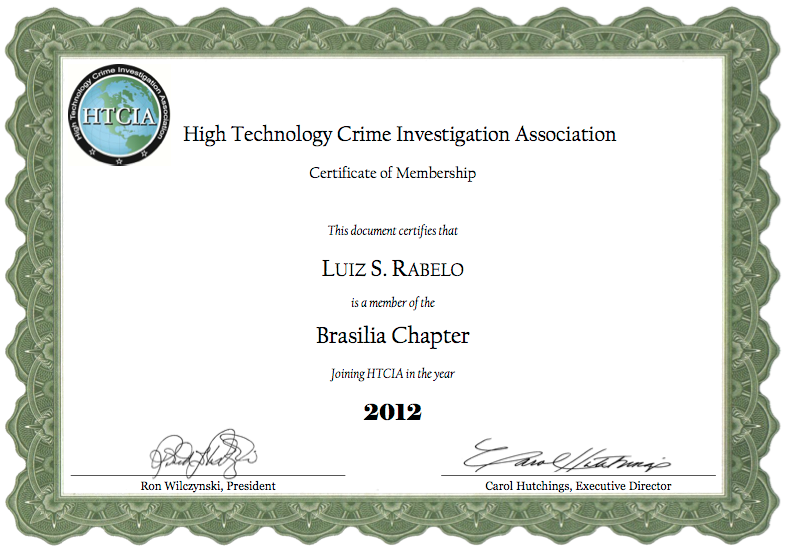 Since the beginning of this year I am a member of the HTCIA Brasilia Chapter! The HTCIA Brasilia Chapter is designed to be the International HTCIA mirror in Brazil, and also to encourage, to promote, to aid and to effect the voluntary interchange of data, information, experience, ideas and knowledge about methods, processes, and techniques relating to investigations and security in advanced technologies among its membership, in order to facilitate the fighting of cyber crime all around the world, mainly when the criminals, their targets, the ISP, and/or the information lays in many countries. Take this opportunity to recommend reading the document 2011 Report on Cyber Crime Investigation, compiled by HTCIA. Smartphone bloqueado com senha?? XRY nele!